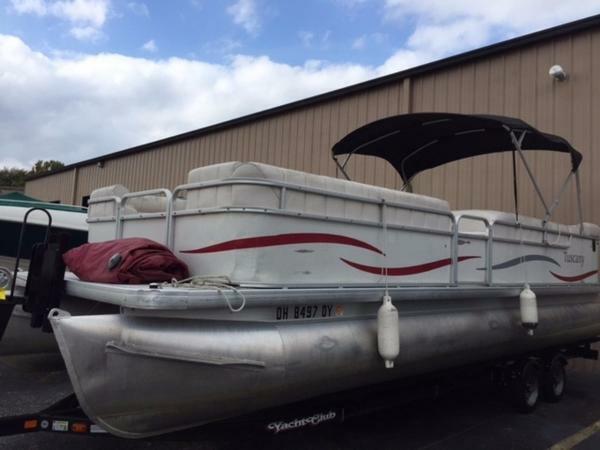 2000 Sweetwater 22 Please call or email for information. 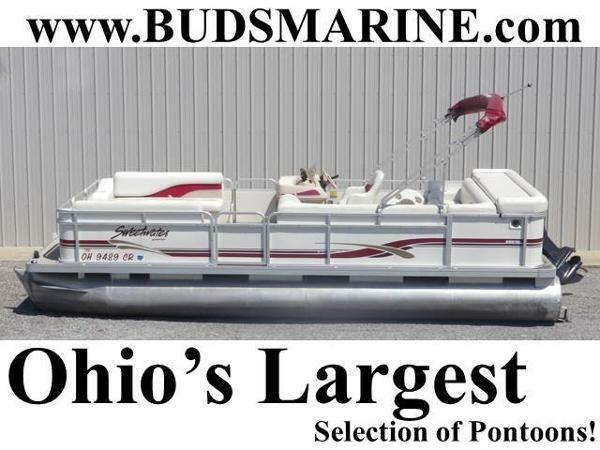 The boat is sold with everything that came with it when we bought it new from Great Outdoors Marine in Huntington WV. Always serviced and winterized there and they have all those records. All life jackets including child size, anchor, manuals, canopy, and full storage cover. 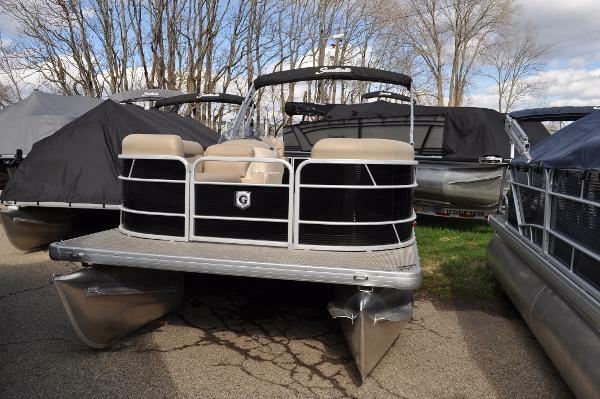 Lots of storage under the seats, Private dressing area and commode, sound system, and will throw in depth finder. 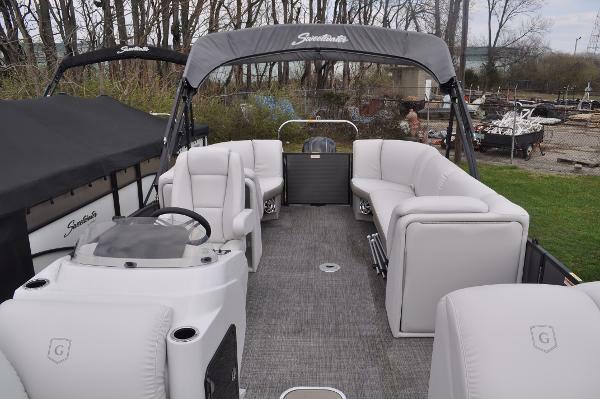 Actually, everything that was included when we purchased it will be included when you pick up the boat. 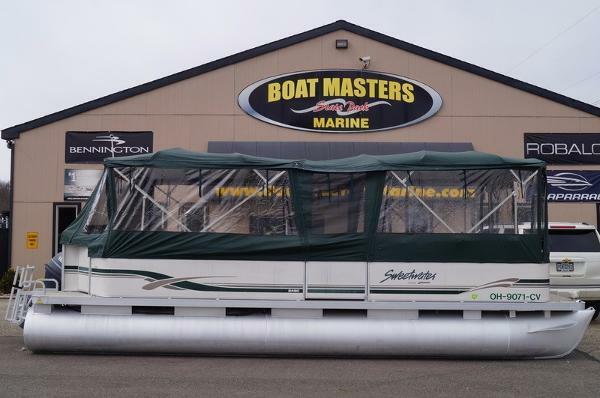 The boat is in excellent condition and always been well cared for - always covered and parked under metal storage canopy in our side yard when not in use Never docked and rinsed off after each use. Trailer is super easy to load the boat onto. Easy to trailer - we pulled it with my Ford Edge. 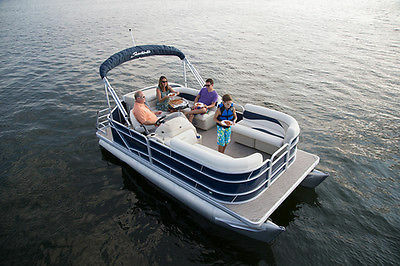 We have boated with as many as six adults and two kids with plenty of room. 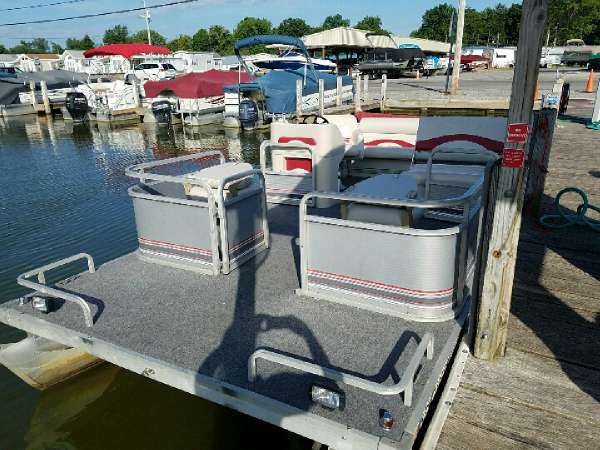 We bought everything new in October 2013 for entertaining the family and have so enjoyed it; however, life has changed and we are no longer to use the boat. Will so miss this. Very low hours. 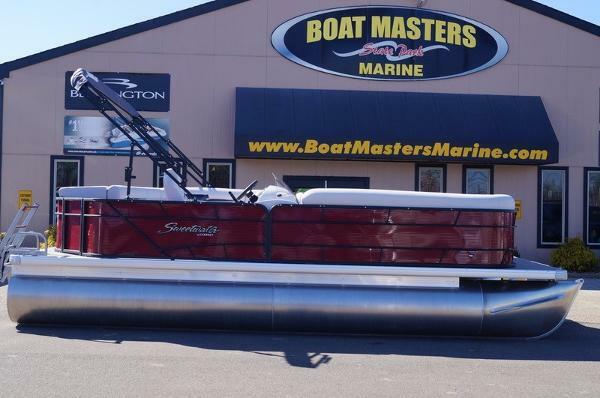 Unable to hitch boat and pull out to uncover and take actual pictures but it is exactly like the one pictured if you search Sweetwater SW 1880 - colors of boat are blue and white. Feel free to contact me with any questions - (304) 544-0819 or email ofallthethings@gmail.com. 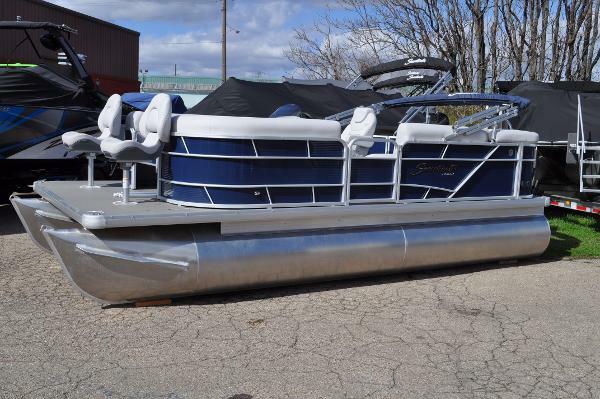 Buyer is responsible to pick up the boat and can have the metal storage canopy no charge if you dismantle and take it. Payment via cash or cashiers check with $500.00 deposit via PayPal.